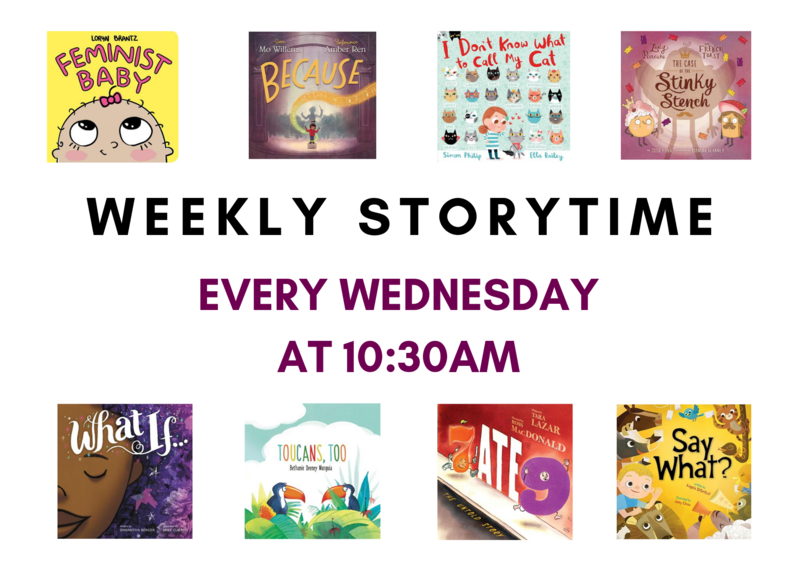 Join us for a story-time and craft event every Wednesday morning at 10:30! We'll read 3-5 books followed by a craft (or scribbling). Attendees are also welcome to play in the castle after the story-time is over. Though the books that we'll be reading will be intended for kids 0-6, all ages are welcome! Each month will have a different theme that carries through the book selections and the craft. If you have questions, please email web@odysseybks.com or call 413-534-7307 and speak with either Kinsey or Laure.